Welcome to our online jewelry store. As an ejewelry affiliate, we offer the largest selection of more than 40,000 gold, platinum, diamond, and silver jewelry pieces. Together with ejewelry we offer the best in fine jewelry, selection and customer service. We hope you enjoy your shopping experience and the wonderful quality of our jewelry. We know you live an active lifestyle, so we make shopping convenient for you. We are the largest jewelry catalog on the internet. 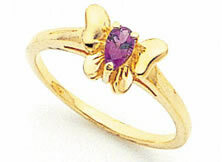 Feel free to browse our expansive catalog of jewelry, watches, loose diamonds and charms. Whether you're shopping for yourself or for that special someone, you are certain to find the perfect item for any occasion. 40,000 jewelry items online and in stock for your shopping pleasure. FedEx Standard Overnight on all US orders.